Comments: A full folio view of the Isthmus on which the main part of the city of Tyre was built at the time of Roberts' visit. Price: $950 uncolored, $1,075 colored. 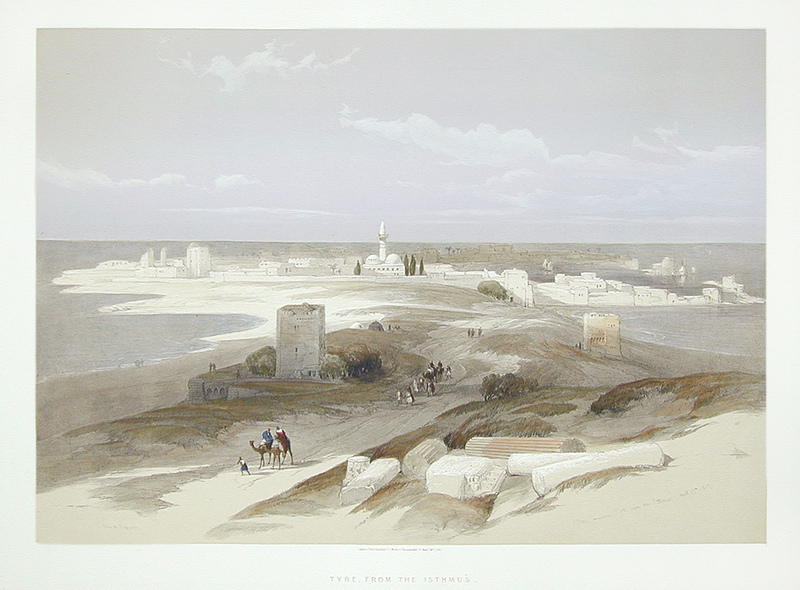 Title: Tyre From the Isthmus. Image: Approx. 13" x 19"